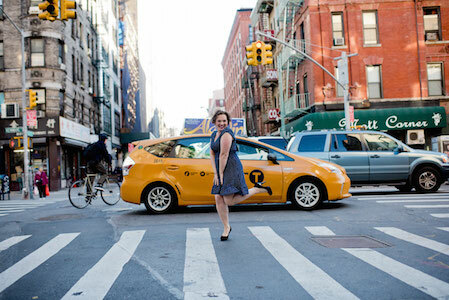 Well – we are back in business!! I so appreciate everyone’s kind words, comments, emails and feedback last week in relation to this little computer/La Croix mishap! I fell very fortunate and grateful that it was a minor spill that we addressed quickly and so there was not damage to the computer innards but just to the keyboard. Having that replaced turned out to be a minor expense (compared to getting a whole new MacBook!) and the folks at the Apple Store in Uptown Minneapolis were kind and very efficient. I got my computer back this afternoon and am happily composition this on it right now. 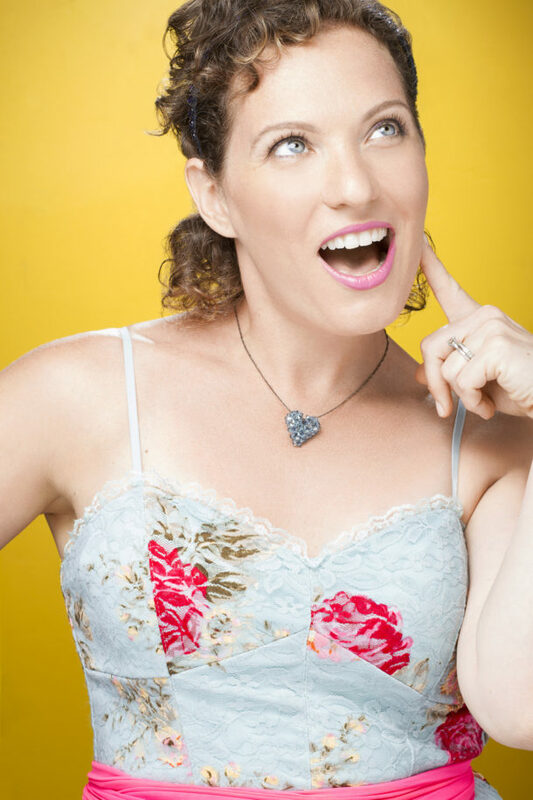 So obviously I don’t have brand new video content for you this week – but what I do have is a Preschool Transportation Songs Playlist for you as well as some transportation book suggestions to go along with it! Now, of course, there’s no shortage of transportation books out there. I’m sure you’re child has their favorites. I thought I’d include just a few of mine that we’ve loved either at home, in the classroom or both. You can find the four books over at my Amazon Shop should you want to purchase them and add them to your personal library: CLICK HERE to go to Miss Nina’s Amazon Shop. 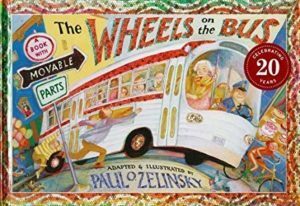 First up is this beautiful version of The Wheels On The Bus by Paul O Zelinsky. Piper was gifted this book when she was about 18 months old and she LOVED it and all the moving parts. And so, Ok, she broke almost all the parts within a week – but it’s because she loved and read this book over and over and over again. And we bought another copy almost immediately.And, of course, it’s just a standard version of the song that you can sing along to with the book – or simply read it and move the parts and have a great time. Now – who doesn’t love Mo Willems and The Pigeon?! 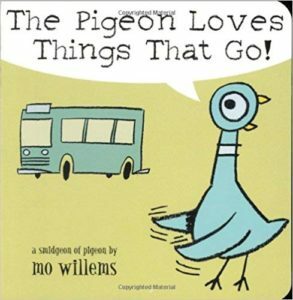 I was originally going to put Don’t Let the Pigeon Drive The Bus as my book choice and then saw the title of this: The Pigeon Loves Things That Go! In all honesty, I’ve never read this book so I can say if it’s a good one for sure – but it’s got all the ingredients to be AMAZING! So – give it a try and let me know? 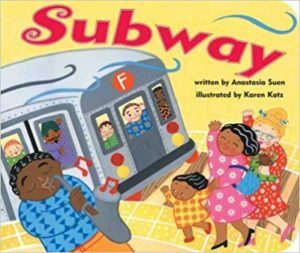 Now a few years back, someone asked me if I could put this book Subway by Anastasia Suen into song for their child – and I did! At first it was just a song I did for that child and at a sing-along here and there. And eventually it made it’s way onto my album Every Day’s Your Birthday. This book is super colorful and gives a great and happy depiction of the colorful, joyful experience that is the NYC subway. It uses simple words and phrases in a repetitive way which is wonderful for our little ones who are learning to talk, and equally excellent for our young friends who are learning to read! 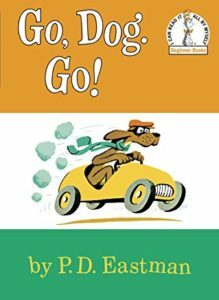 And last, but most certainly not least, one of our longtime favorites at home is Go, Dog Go by P. D. Eastman (although. always think it’s a Dr. Seuss book as it’s written under the Dr. Seuss label and Eastman was his protoge). Again, similar to Subway there’s lots of simple words and phrases that help with speech development and makes it a great book for young readers. It’s filled with opposites and funny bits and yes, the whole ridiculous “do you like my hat?” thing. So – I hope these books along with this week’s playlist give you a while lot of fun, engaging and educational content for the week. And I’ll be back next week with a new video for you. See you next Tuesday!